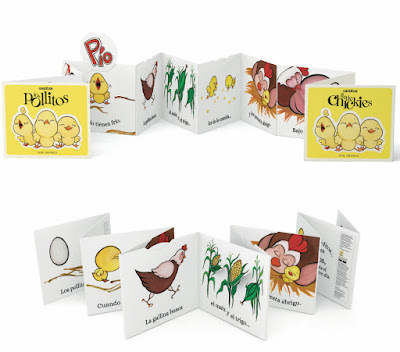 Conceived for the youngest hablantes, and bilingual and non-Spanish speakers as well—these whimsical, engaging and impossibly adorable accordion-styled board books are too heavy for toddlers to chew up or throw across the room. Which they wouldn’t want to do, anyway. For everyone else, they are an artful, well thought-out and beautifully produced treasure, keepers for sure. 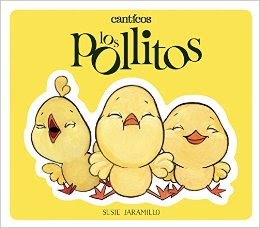 The rhymes—something not often seen in children’s books—are conceived in Spanish and interpreted rather than translated into English. Rhyming in Spanish and English, they roll off the tongue and capture the melody, spirit, and sense of humor of both languages, engaging hablantes and non-Spanish speakers alike. In addition, they carry a subtle message—not that everyone’s the same, but that everyone’s different and they all get along. and when they want a meal. and warms them head to heel. right on the web of a spider. and the elephant called to invite her. 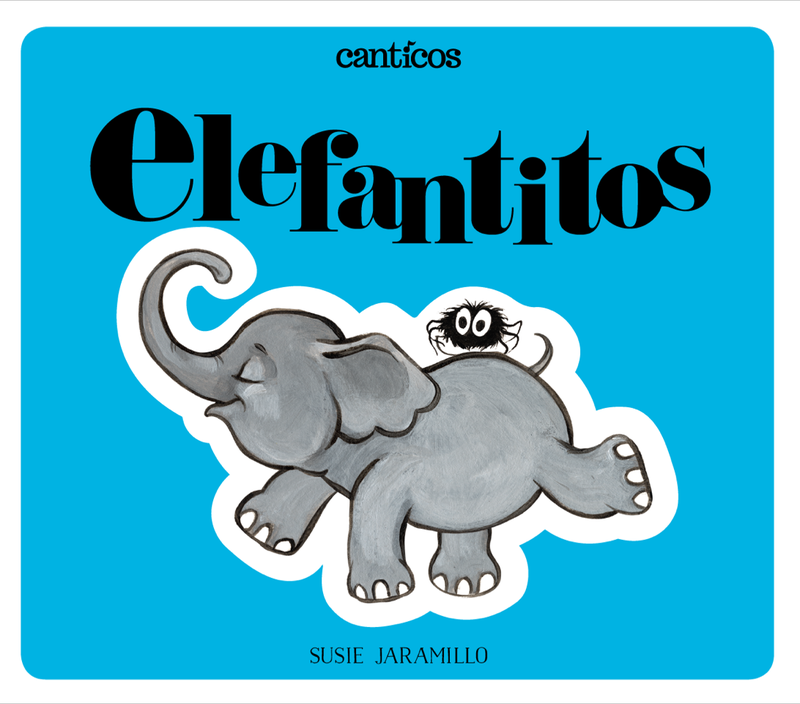 One of the differences in Jaramillo’s version as opposed to the “traditional” one, is that the elefantitos are babies who have a lot to learn. Maybe. As the group grows in number, the first one's expression —then that of the second, third, fourth and fifth—grow from carefree to concern to a sense of imminent danger as they start to think that balancing on a spider’s web might not be such a great idea. And the little spider—whom Jaramillo portrays as a big-eyed black ball of fuzz—is becoming frantic as well. Since no one gets hurt here, kids can happily repeat the song until they get sleepy. Or the adults do. Each accordion shaped book in the Cantícos series comes in a sturdy box for added protection, and there’s a free app, so the littlest ones can sing along. 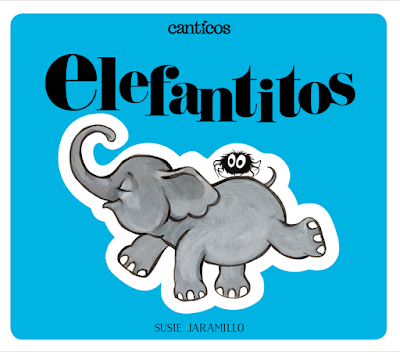 These absolutely adorable, good-natured, hilarious, and virtually indestructible (except for the pull tabs and flaps) little-kid books—in Spanish and English—are highly recommended.